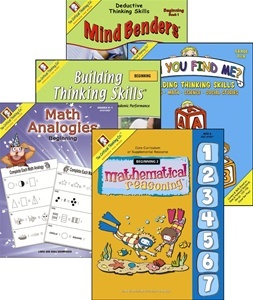 The OLSAT® Prep Bundle for Pre-K contains a selection of books published by The Critical Thinking Company to use in preparation for the Otis-Lennon School Abilities Test® (OLSAT®). More information about the individual books and sample pages can be found by browsing the individual titles using the links above. The lowest level of the OLSAT® was written for use with Kindergarten age children. If your Preschool child is going to be tested they will benefit from a higher level of knowledge than contained in these books but many preschoolers will need to start easy and work to develop their potential. These titles are an appropriate level for an average preschooler or bright younger child to work with. 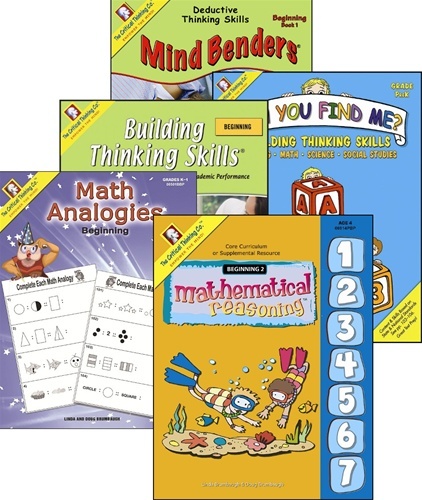 If you've navigated directly to this page we invite you to read our comments about The Critical Thinking Company's Test Prep Bundles before making a purchase decision. We offer both Test Preparation Bundles for Gifted Children taking the OLSAT® and suggestions of individual titles you can use with a pre k child to work on different skill areas.